Geometric, sculptural, animal. These incredible paper works of art will blow your mind – and guess what? You get to build them! 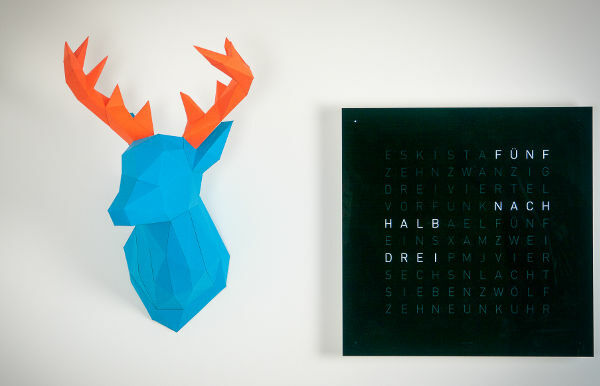 That’s right these brilliant creations from Germany’s Papertrophy come flat packed, and with just a little bit of patience and some paper glue, you can play a part in creating some beautiful pieces for the nursery, or really anywhere you’d like a talking piece. 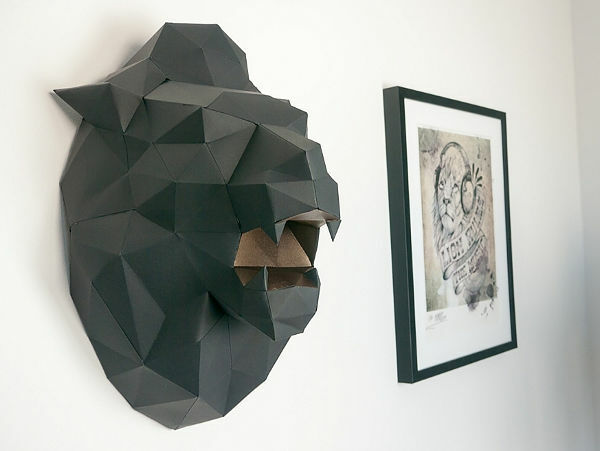 I really want to show you the Papertrophy animal heads that will spruce up any blank wall in the nursery – but I can’t go any further without showing you this massive gorilla. He’s more than one metre tall, and looks incredible. 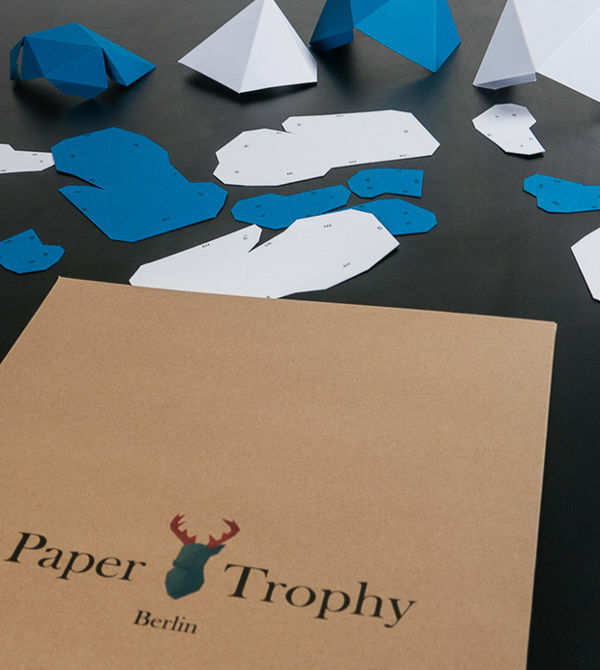 Papertrophy is currently in the midst of a crowd-funding campaign on Indiegogo, and has smashed through its funding goal. However if you’re super quick you can still grab some of the special prices – like US$199 for this gorilla. 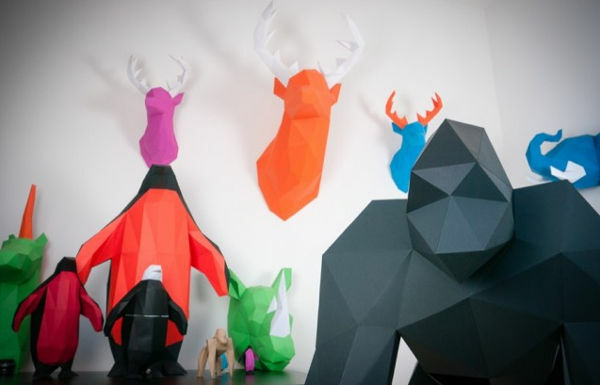 Ok, so back to the wall pieces – rhino, elk, lion, unicorn and a giant elephant. 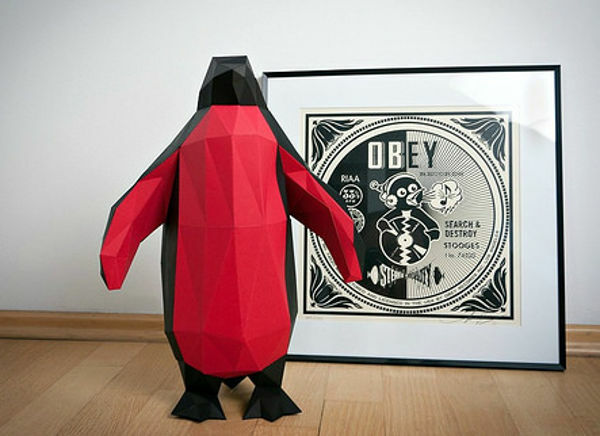 They can be crafted into amazing wall adornments with a kit from Papertrophy, or you can also download a DIY version (there is a downloadable penguin for US$5). 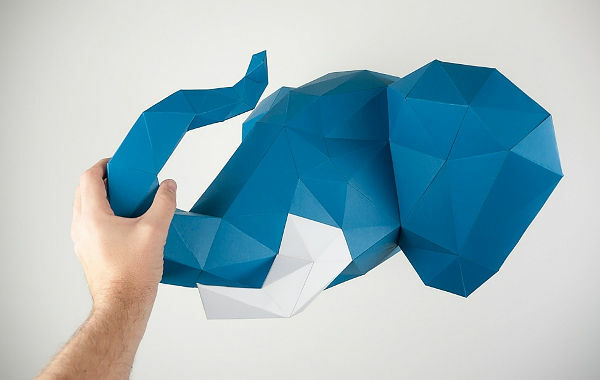 The company says that while these creatures are made of paper, they are quite sturdy once constructed. So while they’re not robust enough to endure too much play, they do lend themselves to being used in children’s spaces. 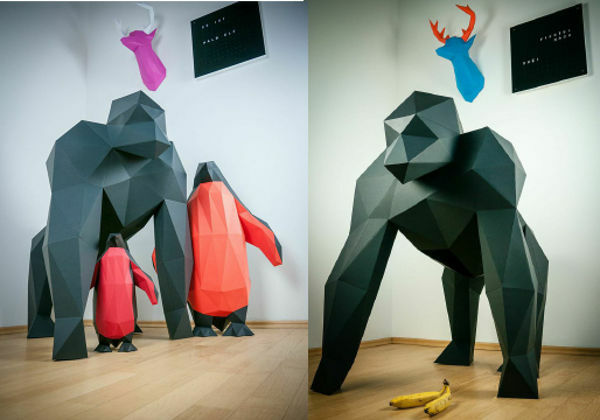 I know my animal-loving son would go bananas for a giant gorilla in his room! As I mentioned earlier, if you’re quick you can still grab some great deals on Papertrophy pieces, including paying US$49 plus US$9 shipping on a regular-sized Papertrophy of your choice – which is a US$20 saving on the regular price. 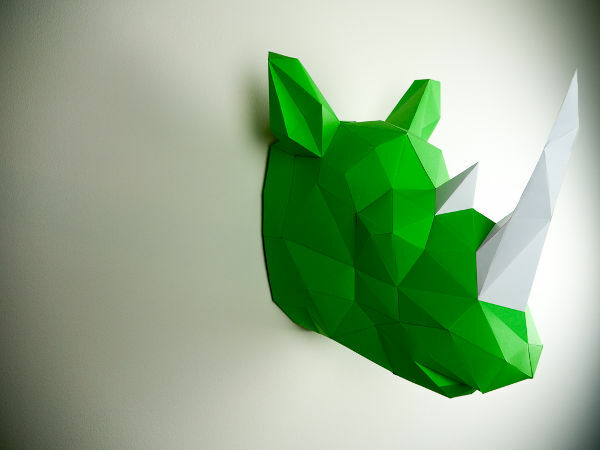 Head to Papertrophy’s Indiegogo campaign to purchase.